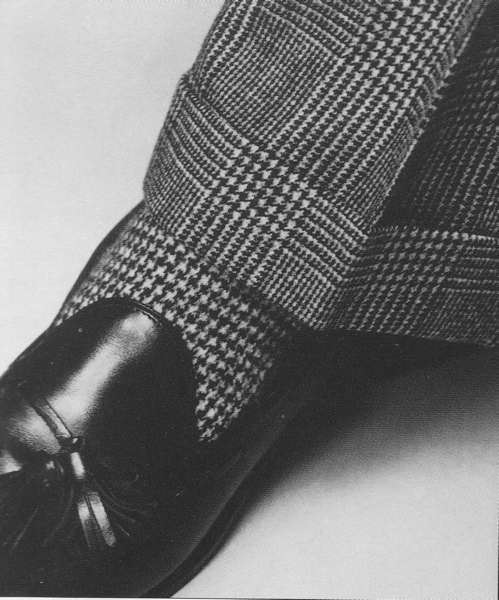 Part of an image used by Ralph Lauren in an old campaign. Now have I mentioned the pieces pictured on this dust jacket? 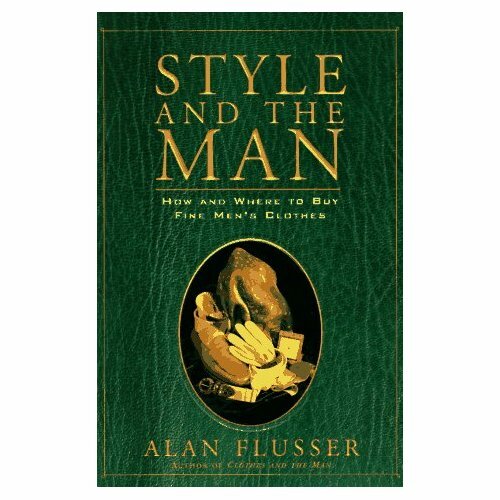 This entry was posted in Elegantology and tagged Alan Flusser, Alden's Tassel Loafers, Belgian Shoes, Peter Blair, Ralph Lauren, XMI. Bookmark the permalink. Your Belgians have many more miles on them! They may be relegated to less sublime duty but they’ve got plenty of “good” left in them. I’ve had one pair of mine resoled 3 times. 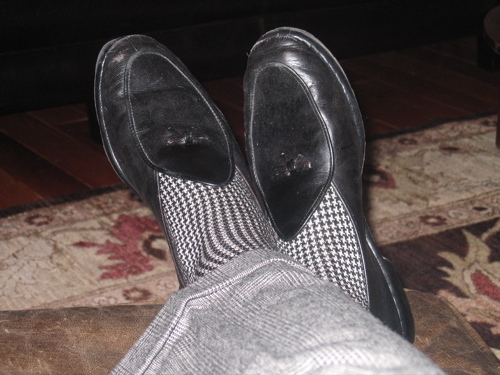 The Ralph sock/shoe/glen plaid ad campaign had the same impact on me …. that many years ago. I’ve worn out all 4 pairs of the identical socks pictured therein. I also, the year that ad ran, had a glen plaid flannel suit made. Why do I love socks so much? I really do. I always bring back cashmere socks from Scotland for the chap who runs my workroom. He’ll do anything I ask now!